I have just minutes into the Sunday/Monday gap that usually is my own deadline for the previous weeks culture indulgence, so I will keep it sweet and short. As I was landing from Latvia to the Queens property less than a week ago, I was thinking what a strange land it is. So many beautiful things here, so many doors opened for me, but still – are we in the perfect relationship? I was not sure if the holiday hangover was over, but I was left with no choice – four years in a row I missed the Sesh for various reasons and last year I swore that 2017 will be THE YEAR. + someone offered a “brief”, so the festival visit was on the full work mode. The gallery is less than a half of “reasonable” photos taken in the 12 hrs because on time pressure for post process – some of the photos are random, some acts/bands photographed not even sure where from/named after…a mess. Plus half way I lost my precious map, work list and wish list, so that made me even more of a mess. I was a mess photographer, but I think there is a great message in my photos – Hull likes a good party and Hull can also host a great party. and all those who said hello to me and I said hello to. Enjoy Humber Street Sesh 2017 mess that comes from my photographers heart. I AM FAR AWAY FROM THE WORK AND MY BRITISH HOME, HENCE WHY I AM FAR AWAY FROM THE CULTURE. COS I AM ON HOLIDAY, I AM GOING TO KEEP THIS SHORT AND SWEET. I VISITED HUMBER STREET GALLERY AND STATES OF PLAY. I WAS GOING THERE PURPOSELY, BUT WAS NOT EXPECTING HOW EXCITED I WILL BE SEEING MY FAVOURITE EXHIBITION SO FAR. AMAZING EXTRAVAGANZA, SO CLEVER AND INTERESTING. I HIGHLY RECOMMEND SEEING THIS TO EVERYONE OUT THERE READING MY BLOG. TELL YOUR FRIENDS, FAMILY..EVERYONE. SUNDAY MORNING OF THE CULTURE WEEK 28 AND HIGH PRODUCTIVITY SO FAR. THIS WEEK HAS BEEN MANIC, BUT I HAVE BEEN ON THE TOP OF THE GAME. AS I AM LEAVING UK FOR TWO WEEKS, TO DO LIST HAS BEEN LONG, INCLUDING GETTING SOME CULTURE. Ground Gallery since the first visit few weeks ago when I visited PEACE PARTY is on my culture map. I subscribed to their mailing list and that is how I found out about the LIFE PICTURES by artist KAUSAR from Afghanistan. It was important to visit the exhibition this week, as it will be closed by the time I come back. Tight schedule forced me to take my chances that it will be open. It was closed when I arrived and I desperately started taking photos through the window [as you do]. Before leaving I thought that the good old knocking might change the situation around and IT DID. I was invited for a quick view and it mainly happened cos the gallery owner recognised my face. The drawings represent artist life back in Afghanistan and his new home in Hull. The artwork contains a lot of monsters and creatures, so I recon that the artist had struggles and the journey was not an easy one. Like many others, he might have struggled to integrate and find his sense of belonging. Overall the gallery is as mentioned few weeks ago full of character and that enhances the work on the walls. Beautiful. The same day I went down to Princess Avenue to visit Artlink Hull. I was not sure if the previous exhibition that I wanted to see was still on, but I also thought that there must be something on anyways. I dare to say – one of the best photographic exhibitions I’ve seen since Martin Parr @Hepworth Wakefield couple of years ago. The exhibition brings together original images of women from different subcultures of the early 1980’s and newly commissioned portraits of the same women now. In 1981 Corbin made 28 double portraits of young women. They were from different cultural groups: skins, mods, punks, rockabillies, new romantics, rastas and young lesbians. She was fascinated by the ways in which cultural allegiance and identity were boldly and explicitly expressed through fashion, music and environment by women emerging from adolescence. The era when photographs were taken matches with the one Martin Parr and his photographic journeys took place – Margaret Thatcher and the times when the social confusion was a present. Or everyone turned into a rebel in some way. Interesting time for controversial photographs dealing with the life. So I recon that is the reason why I was so positively charged with this exhibition. In so many ways it is one of the most beautiful ways how to preserve life and style that is way gone, but remains important for new generations to know about. It makes sense to me. Photographs reveal timeless beauty of the way world used to be. There is a sense of freedom. The way Anita Corbin worked is also something that rarely happens these days insta-shots with Polaroid focusing on the first time success. Another fascinating aspect is that Corbin tracked down women photographed to take the photograph once more, many years later – she actually reunited some friends that haven’t seen each other in twenty years. My personal friendship experience relates to this as my best friends live in Latvia and I see them once a year. There is also an amazing merchandise available, including a book that I really need to get before the exhibition finishes. SO YEAHHHH, HIGHLY RECOMMEND THIS TO EVERYONE. BIG SHOUT OUT TO Artlink Hull STAFF FOR BEING SO FANTASTIC AND OFF COURSE BIG HONOURS TO HOST AN EXHIBITION OF THIS KIND. MY WORK HERE IS DONE FOR THIS WEEK AND I AM VERY EXCITED TO GO HOME [TUESDAY]. TOMORROW I MIGHT DO SOME CULTURE FOR THE WEEK 29 AND 30, SO KEEP YOUR EYES PEELED FOR NEXT TWO WEEKS. I CANNOT BELIEVE I WILL BE AWAY FROM THE CULTURE AND EVEN MORE I CAN’T BELIEVE THAT I CARE SO MUCH. hah. HAVE A FANTASTIC WEEK MONKEYS!!!! Week 23 of the challenge has flown by – again. Time just flies and last week especially I was living in a bubble – week blended in as one long day with a lot of amazing things, cool photo shoots [one very cool solid] and great people. Last week obviously went down to Hull School of Art&Design – AS THEY CALL IT THE BRODRICK GALLERY NOW – for the degree show. First of all massive CONGRATS to Fine Art students for having the best social/promo/marketing presence I’ve seen in years. They are only bunch of students [are they? ], but they have done such a brilliant job. Their exhibition BEHIND THE WHITE WALLS was the one I wanted to see the most, so their marketing has worked. Having been the student and gone through the degree, I know exactly how difficult and time consuming it is to do everything 100% – creating the final work, writing, researching and preparing the space, and have the perfect social platform to spread the word. Well done! And off course – some really great stuff – some abstract, some hearty, some personal, some random and some follows issues in the current world. I must say that this year I have enjoyed Fine Art the most. Illustration is usually the one I have my eyes peeled, but this year the diversity grabbed my attention in Fine Art studios. Lovely to chat with the artists-students behind the work, plus some other deep conversations at Hull School of Art&Design. The visit took me back one year ago, and I feel so thankful and lucky. For some, like me, the degree opens another world and offers a great platform to be a great artist, photographer or arhitect, illustrator or web designer. And there are few that really make it to the real world. Also came to a conclusion that I don’t miss being a student. I milked the cow to the last drop with no regrets. It is an absolute pleasure to pop in now and then and see the people that helped me to shape my photography. Erm, the photography exhibition was alright [mine/ours was miles better hahah]. There was a few problems – previously mentioned Fine Art BEHIND THE WHITE WALLS and photography exhibition – have no idea what the exhibition was called…that’s quite bad. Two students particularly had strong commitment to the Final Major project and photography in general. The photos below particularly interesting as the set was built from scratch on the Hull School of Art&Design grounds and off course – the amazing hand crafted frames. The week was literally flying by and on Saturday I had a moment of truth – I have only been to the Degree Show. THAT IS NOT ENOUGH OF CULTURE. I went through the Hull City Of Culture 2017 website for some inspiration for the day, but was not feeling very social – sometimes I really fancy some quite photo journeys. Just opposite the St Andrews Quay in West Hull there is the metal sculptures. I pass them at least once a week, wanting to stop, but never do….and I figured that it could be my finishing touch to the WEEK 23 of the challenge. “Peter’s Lost Trawlermen’s Memorial at St Andrew’s Quay is a poignant tribute to those who lost their lives at sea” – description on Hull City Of Culture 2017 website. I was taking photographs of a group of people carved in metal kind of knowing about the possible connection with the fishing heritage in Hull and celebrations around it. But little that I knew that this is part of a big celebration and part of the Hull 17 programme. Fishing Heritage Talks: An Evening with Alec and Peter is only one part of the 17-day festival of celebration in honour of Hull’s fishing heritage. At least I can say that I appreciated the incredible sculpture to the fullest and explored in detail. As the sculptures are life size – Melanie could not help to be part of the art – and I can’t really blame her. We had fun and the people passing by wondered what the heck is going on there. That unplanned photo shoot might be a potential selling point, so people who did pass might come for a closer look and spread the word. There has been some great shots with the sculpture on Instagram photo groups with star trails, amazing sunsets/sunrises in the background, but I think I’ve done a good job with the summer look. BUT BECAUSE I AM TRAINING/PREPARING FOR THE HULL 10K I will see how my plan works out. Hull City Of Culture 2017 and the photo challenge has become part of my life. Sneaked up on me at the beginning of the year and now I can’t imagine my week without the random visits, walks, places and people. Random – this week has been one of those. Every Sunday or Monday I sit down, panic about the deadline and look through the photos taken. Although this week has been work-crazy, I have managed to photograph two different [completely] cultural things. CASTING ON HUMBER: Castaway Act on Sobriety. The Sobriety Project in partnership with Castaway Goole received funding for this unique project from Hull UK City of Culture 2017’s Creative Communities programme. Lady called Sarah Louise Davies was so lovely, she sent me the press release with some more info about the performance. The cast are all experienced members of Castaway Music Theatre who work together weekly in Goole with Sarah Davies. 15 members of the group will be joined by additional professional performers, Hull City of Culture volunteers and members of community groups who are participating in workshops in Hull and Goole. Castaway Music Theatre member Anna said: “We know what we’re doing. But we don’t know what will happen. It really was something different in the most beautiful way. I went to the very first performance, mid week, early daytime, so I saw the first reaction from the public. The second #getculturedmovement activity was something completely different. Other spectrum of the culture. The long hunted Ground Gallery down Beverley Road was hosting a PEACE PARTY. One culture event leads to another – that is how I got an invite to the party. Martin Berger – saxafonist and clarnetist from Spain was playing at the Casting On Humber, so he invited me to come along. Saturday was an intense day that was measured in 18,000 steps and a lot of fresh air, and a lot of photos taken. DO I REALLY FEEL LIKE A PEACE PARTY?? But my gut feeling told me to get my camera back on and at least have a nosy. I guess after two attempts to see the gallery – art gem in the middle of quite a culture-quiet area, this was my chance. I am familiar with the culture, back in the day I was hanging out with few and the lifestyle, although not for me, seemed fascinating. But the shock hit me – all dressed up in Ray Bans, fancy camera, Ombre hair…I was feeling like the capitalist pig [yeah, I’ve got the definition for you to read] and I guess I am a little bit, but that was right in my face. People there have the community that is based on love and peace, ideology they share and the lifestyle that makes them free spirits. At least the outer shell says that. There was a lot of friendly and chatty people, it was welcoming, but more than ever I had to convince them that my presence is genuine. About the gallery – strong vibes of artist PINKYVISION. I have been following the work on social platforms and that made me feel a bit more comfortable. Also very strong vibes of the workshops that Ground Gallery hosts – art is covering nearly every inch of the space, it is like an art hub, the feeling seeing all that is quite special. It is like you are in someone’s world. So I hope that one day I can go back to the gallery and be part of the art/making of art. The space is a magical as I expected, so I am so happy that made sure I am not imagining things. When it comes to the party itself – there was some poetry, talks, music and jokes. Most of it covered the subject of peace and support of the Campaign Against Arms Trade. Thank you guys for answering my very straight questions, letting me be part of it and sorry if I need more time to feel comfortable around you. The galley at the moment is on and off with the wokshops, so if you subscribe to their mailing list, you can be updated with the upcoming events, work shops. Let’s see where the 23rd week takes me. RADIO 1’s BIG WEEKEND AND ALL THE LOVE RECEIVED AND GIVEN. THIS SUNDAY IS EMOTIONAL, THIS BLOG POST IS WRITTEN WHILST LISTENING THE ONE LOVE BENEFIT CONCERT IN MANCHESTER AND BEING AWARE OF THE LAST NIGHTS TERROR ATTACK IN LONDON. This is my way of paying tribute to everyone affected – the horror did not stop me to go out to the festival, celebrate life and music. It was a magic and unforgettable experience. I live my life through photographs, for that reason I brought a 35 mm Minolta film camera [my work gear was not allowed in cos classed as professional]. The photos arrived on Thursday and I looked through them with true joy. Highlights – Christine and the Queens and Stormzy. The best feeling was the sense of unity and I will never ever forget the energy that the crowds spread through every inch of my blood vessels. It was so special to be part of the same moment. This isn’t going to be my usual Bible, just want to give share my love for life. Because love is all that matters. Months ago I had a feeling that this week will be the best week of the Hull City Of Culture 2017 photographic challenge and IT WAS F***** AMAZING. With the sad notes on Tuesday I thought that there is not much that can lift the broken spirits, but it turns out that the unity, togetherness and community spirit will defeat the evil. On Wednesday I went to the BBC Radio 1’s Academy to see Bastille for a special Live Lounge. My reasons for the excitement about BBC Radio 1 being in Hull is simple – that is my radio, my ear-family, my wake up call and I love all the DJ’s, they make me feel like home. Even when I am not in the UK. Clara Amfo was hosting the Live Lounge and the Q&A with the band. I was actually really surprised that I was allowed my “professional gear” in both. Usually I would be told off, but this time it was rather lovely. For the Q&A I was in the front row because I made good friends with few BBC members. Big “cheer” to BBC staff, security and organisers – really welcoming and helpful. And I am like “OMG I HAVE A PHOTOGRAPH OF BASTILLE, CLARA AMFO” and I have every right to be over the mooooooon. After the splendid time with Bastille I rushed to have a nosy at the actual Academy so I can milk it as much as my time allows. Plus I got to speak with to extremely talented photographers Thomas Arran and Shoot J Moore. These two guys I follow religiously on social media streams, they are an inspiration and honestly – motivation. Both have equally a lot of talent, still being different. I apologise that I behaved like groupie – I think I am one. sorry. Also a SHOUT OUT TO ALAN RAW – the father of BBC Introducing Humberside, creative director behind the HIP Gallery and other great stuff. He got a shout-out on Mr. Jam’s show the other week and I was really happy getting the broadcast UK wide. The new arrival in Hull Travel Photographer of the Year exhibition down Princess Dock Street was an interest to me. Just cos the Wild Life Photographer of the Year exhibition in Beverly was so incredible, I thought this is right up that level. The content is fantastic, the display alright and I spotted a few favourites. The space was lacking “the interests” and at that time in the morning, people rushed to work, so I really had to be patient. This is not my usual content – politics. But this year I am going to use my vote. On Saturday I went down to Humber Street where an event organised by Anna Bean and the “crew” took place. We Love Arts and Culture in Support of Labour #GE2017 was the title and because I am trying to understand which labour candidate I would like to vote for, the event was the perfect place for lazy. I asked a question of why so many artists choose to vote Labour and I was sold. People there supported Emma Hardy. And I can see why, her presence is very likable, she seems honest and she understands people and their needs. She was there to speak to people, hear them out. Unfortunately I can’t vote for her, but you can if you live in West Hull or Hessle. WITCHE’S KNICKERS [slang/British] plastic bags snagged in trees and bushes – an exhibition that contains paintings and clothes. Really liked the paintings and absolutely loved the clothes. BLASTING FANTASTIC WEEK AND OFF COURSE THE HIGHLIGHT – BASTILLE AND RADIO 1’s BIG WEEKEND. The festival photos will be on the blog within the next week – I shot three rolls of 35 mm film. Really excited to see what will come out. Week 20 of the Hull City Of Culture 2017 and I call it ENGAGED. I WAS ENGAGED. Week started off with rainy and dull Tuesday, but there was one person who was up bright and early [dark and too early] to transform a wall into a amazing graffiti mural. This guy is Calvin Innes – Artist Illustrator&Cartoonist. We met at the Larkin Out Festival, he is founder of Drunk Animal, he is not drunk and he is very talented. He was commissioned by Creative ENRG to create a mural that represents people from Hull succeeding in business [once upon a time]. I visited him on early hours and then later on the day to see the working progress. My promise to go back on photograph the finished piece was not very productive as the wall was used as doors and covered with fencing. The finished piece looks amazing, brightens up the Fruit Market Area and hopefully I will be able to photograph it in full soon. I was also ENGAGED to find the Ground down Beverley Road on Thursday. To my disappointment, it was closed. Instead I had a little wonder around the area. The sun was shining and the mood was 100% happy. Finally I had the opportunity to get close to the scrubby looking Trafalgal Street Church. The building close up reveals incredible texture and detail. The building is fascinating from outside and I wouldn’t mind to brake in inside. So if there are any offers, please feel free to message. On Saturday my beloved Hessle Road was on the spotlight. When I moved to UK, Hull, my first home was down Hessle Road, so the are is special to me. Even though I have moved to the other side of Hull I often visit the area. It is so familiar, many of the shops still have the same people working there, my favourite take away, flower shop, Kurdish shop and off course the monumental BOYSES. Saturday was the day when the three giant graffiti murals down Hessle Road were unveiled officially with people involved in making/organising also being there. There is a story around every single mural and Fisherman memorial in the middle of Hessle Road remembering people who died at the sea, engraved in silver plaques. There is lots to tell, the event was amazing, good coverage with many photographers capturing the event, locals gathering, Hull City Of Culture 2017 volunteers and so on…. I had a very busy morning before that, I was still in my running gear when I arrived early, I was still out of breath after Park Run, but I was keen to capture the three, four stopping points. Halfway Public House – The Fisherman’s mural-representing the hard life experienced working at sea. Artists – Kev Largey, Lydia Caprani and Sharon Darley. Fotoworx – Depicting St Andrew, the patron sain of fisherman, guiding a mariner through stormy water’s. This also marks the entrance to St Andrews Ward, and Hessle Road, the heart of Hull’s fishing heritage. Artists – Neil Posto Deanes and Keith Homes. The same day I went to the Depart. Depart is a controversial performance in the grave yard. Yes, grave yard – cemetery. Right up my street[COS END OF LIFE PROJECT]. I was so looking forward to it [thanks to Caroline and Andrew from Hull Homeless Community Project for a ticket that I was so desperate for. YOU ARE AWESOME]. Off course I brought camera with me. It was very strange, that there was no information about not being able to take photos, but mid-way, the event staff started telling people off for taking photos/videos. I managed to capture some incredible moments, before I started feeling really uncomfortable clicking away. The performers often made an eye contact with viewers and that was unusual and so effective. The mud, small walkways and darkness created an environment that I have never been in. WHAT A WEEK I HAD. VERY DENSE, INTENSE AND ENGAGED. ENGAGED WITH HULL. WITH CULTURE. DEPART AND HESSLE ROAD MURAL OPENING. THIS WEEK IS ALL ABOUT WORK, BUSINESS PLAN AND END OF THE WEEK – RADIO 1’S BIG WEEKEND. I AM TAKING FILM INSTEAD OF DIGITAL [JUST COS MY GEAR IS NOT WELCOME ON THE SITE (sadface)] SO THE PHOTOS WILL TAKE EXTRA TIME TO APPEAR ON DA BLOG. This year Hull is bursting with good events, festivals, performances and gatherings. And those are not necessarily part of the UK City Of Culture 2017, they are just here because all cities have culture any day, any year…. Newland and Princess Avenues are very cultural anyways, for a lot of people those areas have been the musts when looking for good food, drinks and entertainment. So few weeks ago Larkin’s Bar hosted Bank Holiday mini-festival in its new magical beer garden with some fantastic live music, live art and off course Larkin’s Bar finger-licking food and real ales. I have been waiting for a good moment to publish these and today is a perfect day for that – rain is poring down and it smells like summer. Also the festival has a special place in my heart as I met so many fantastic people and had the unexpected opportunity to meet a lot of bearded fellas who are helping me to create my BEARDOLOGY. My main mission was to be there, tell people who I am by having a mini photo booth Anete’s style. But I also did not miss out on an opportunity to capture the mood of the festival across two days. First thank you goes to Dan, the boss and the grafter of Larkin’s Bar for giving up the potential business space to me. There was no promise that I will be attracting thousands of clients, so that was super kind of him. Second thanks goes to Calvin Innes from Drunk Animal for having me there, being so open mined and encouraging. Third thanks goes to Paul – the mystery man behind so many bearded guys I took photos of and talked with. He had a fantastic beard himself and both days he was my support when I was too scared to approach beards. The photo booth was not a massive banger amongst the regulars, but it was a blast with the beards. Note: The beards are not ready to be published just yet, but the preview is coming soon. And then the festival itself – so many people across two days, many of them interesting characters with interesting stories. As mentioned before there was live art by Calvin Innes – the Illustrator, Cartoonist and Artist and massive graffiti performed by Spray Creative. Larkin Out Festival was supported by Larkin’s Bar and Creative ENRG and the main reason was not just to entertain but to raise money for The Warren Youth Project. Since I was at the festival, I have looked at the amazing work they do, the support they are giving to young people and the most important-opportunity to create and learn. I also looked up the Warren Records Three Minute Heroes album, it was amazing and I bought it. Really good quality music. There was a moment at the festival where I have to be a professional – I was told that there is a group shot outside and I had to switch my work mode. Never the less my Speedlight batteries ran out of power that very moment, so I had to ask everyone to wait. No one likes to wait. But after the festival, I was curious what the fuss was about and I am so happy that I did. That is why I have the Three Minute Heroes album on my playlist. Please, have a listen and maybe get it on your playlist too [link above]. From music to beer – this guy was serving these amazing craft ales and beers, plus he was super friendly and got some stories to tell. His name is Micheal Charlton. Overall it was the most tiring festival I’ve done, but most rewarding. And sometimes you just have to jump into the unknown and celebrate the things you love doing. The atmosphere at the festival was so fulfilling that I had to recover from the happiness shock for next three days [not even exaggerating]. I hope that I can work with some of the people I’ve met there in the future, because I had the best time. Another Hull City Of Culture 2017 week has gone by – for me it sometimes feels like I am unaware of so many things happening and my challenge is becoming content-less. My excuses are workload and prioritising/juggling the life of newly established photographer. This week I wanted to pay a visit to Artlink Hull, capture some people action in Queen Victoria square and Film&Talk: Dancing with Strangers:From Calais to England [unfortunately I exchanged this activity for Disney’s Beauty and the Beast with family]. On Friday I also went down to Hull University for Death Cafe. From a professional/personal point the gathering was so important. For those who have been following me are aware of my photographic END OF LIFE CELEBRATIONS project. The project touches my heart strings, I don’t think that I have ever had such a deep affection with what I am doing as that, so it was good to be surrounded by people who don’t think I am a weird bird. I was also able to reflect on importance of the subject of end of life and death in our lives and that the imagery I have taken has got an original quality. The event took place in Derwent building, so I was thrown into this beautiful world of picturesque scenes. For that reason I thought I’ll try and capture some more and celebrate the cityscape of Hull. Artlink Hull was hosting a Adam Reynolds Memorial Bursary Shortlist, weeks before the winner exhibits a single exhibition. 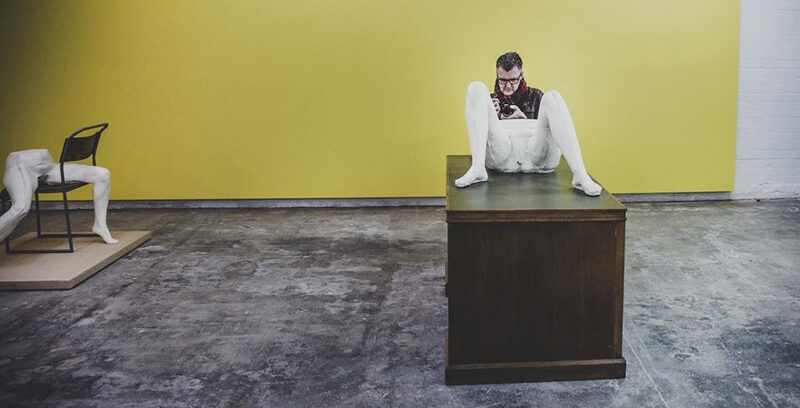 Adam Reynolds Memorial Bursary offers a bursary and three month residency at high profile gallery to mid-career disabled visual artists based in the UK. I found that this exhibition was quite intimate and with a lot of personal reflections, so enjoyed it with my eyes, rather than behind the lens. My favourite was Aidan Moesby’s Syndrome (ii). His work explores the Lima And Stockholm Syndromes. For me it was a throwback to the years when I was trying really hard to understand chemistry and the Periodic Table. What the artist has done – every element has a emotion/feeling underpinned and that is what I was feeling when going through it for exams and stuff. It was a lovely reminder of why I have gone into photography. Artlink Hull is a very lovely space with lovely members of staff, so I hope I can go back in the future for some exciting things. Over the weekend I managed to get out for a bit and I was rewarded – the light seemed to adjust to what I would like to see. It was like I was in control of it. It is valuable to see the ever changing city in a good light – we all look better when we are lit with light the right way. This week I am super excited to be going to Depart on Saturday, so that will most likely be my highlight. But if I can I will squeeze in a visit to Ground down Beverley Road, cos that has been on my wishlist for weeks, also the The Train Track and Basket – Claire Barber is on my list.